Edward Crumpton lives and works in North Devon. Edward studied Fine Art at the University of Lincoln and it was here that he began to develop his practice around landscape, the nature of the journey and how these journeys connect the human with the environment. Edward is particularly interested in how people have interacted historically with the environment, how the landscape is marked by the physical traces of human existence and how the oral tradition evidences their passage. Edward has been studying the traditional British rope weaving and knotting techniques as a medium to create sculptures. Edward interprets the form of rope much like a drawn line on paper. He is fascinated by the versatility of the medium to simultaneously create simple forms from complex structures and patterns. Rope has been an integral part of human history and has extensive uses to build, voyage and communicate for thousands of years. 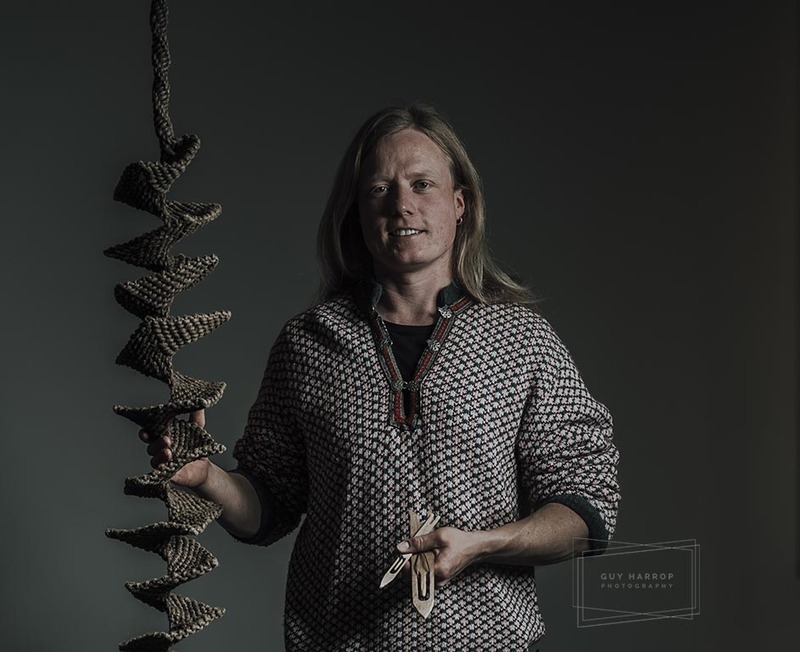 Edward translates his understanding of this material and the engagement he has with the landscape around him to create rope screens and rope sculptures.